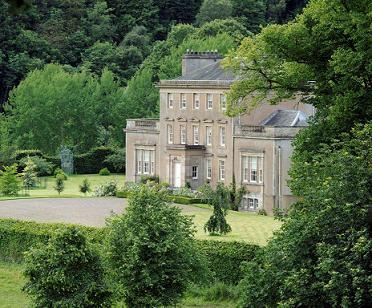 Carolside is a late 18thC mansion set in beautiful parkland ; a former deer park, flanked by wooded hills , nestling in a bend of the River Leader in the Scottish Borders . 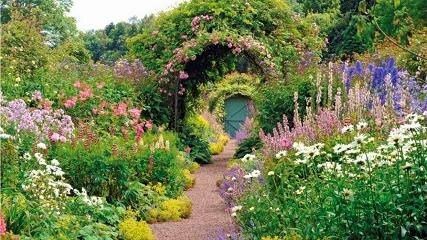 The oval walled garden has been cultivated for over 200 years and was a well known rose garden in Edwardian days . 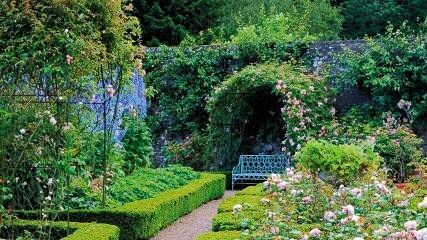 Today Carolside has an important historical collection of roses and houses a National Collection of pre 1900 Gallica roses . 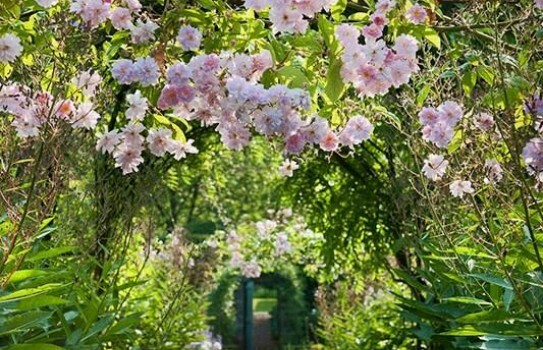 Carolside is a romantic and beautiful garden comprising Herbaceous borders, a Potager, Delphinium beds , Parterres , a Secret Garden , Herb Garden, Winter garden , mixed borders and river walks by the 18thC bridge. Open 2019 - Saturdays and Sundays in May, June and July 11- 5. 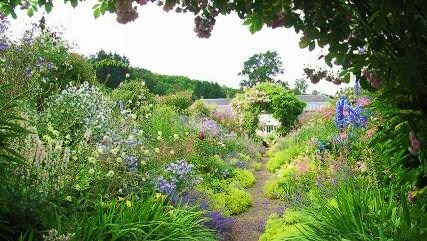 The garden will also be open only for groups and tours and by appointment. If you want to find places to stay near Earlston, why not stay in one of our recommended hotels. Each hotel has genuine guest reviews enabling you to book from anywhere in the world in total confidence. Not only do we feature hotels near the garden, we also feature hotels worldwide and at all major airports. Special prices up to 70% off standard rates as well as hundreds of exclusive deals. Look now - click here.